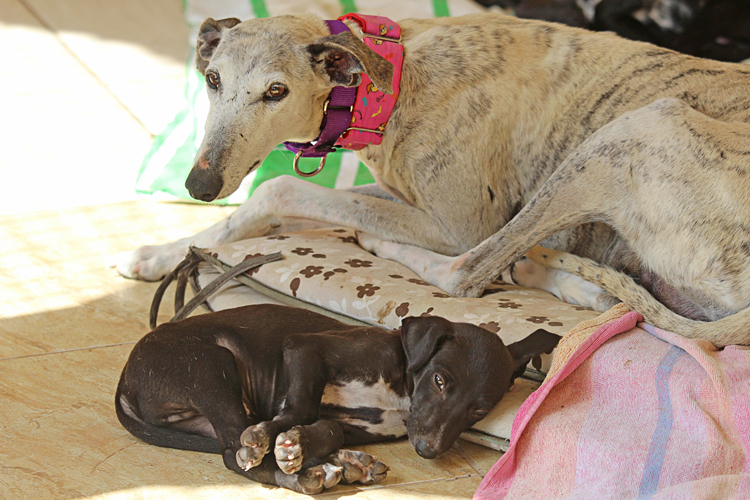 Brave and protective galga mum Bernadett of a brood of five took some time to be rescued — 12 hours. She has been named for a special courageous friend of Tina's who succumbed to cancer on the day of saving Bernadett and her babies. More info to come. Yes, I am interested in sponsoring or adopting Bernaett!